We hope next year's iPad Pro looks like this. The iPad Pro is set to get a huge processor upgrade in 2018, based on the latest rumor out of Apple’s supply chain in Asia. Apple supposedly plans to slap an octa-core processor in next year’s iPad Pro, making them the most powerful tablets Apple’s ever made. The chip will allegedly be manufactured by TSMC and will pack a few features the A11 chip on the iPhone X doesn’t have. The super-fast new chip will supposedly be named the A11X Bionic chip, according to the Chinese site MyDrivers. Citing industry sources, the site claims the eight-core chip will pack three high-performance Monsoon cores and five energy-efficient Mistral cores. For the iPhone X and iPhone 8, Apple created the A11 Bionic chip that comes with two high-performance cores and four high-efficiency cores. The powerful chip took Apple three years to design. The addition of two more cores will undoubtedly give the 2018 iPad Pro some huge performance gains. An M11 coprocessor will probably be included on the A11X Bionic chip along with a neural engine that specializes in AI computations so that Apple can bring Face ID to the iPad lineup next year. Apple isn’t expected to unveil the new iPad Pros until spring or early summer. 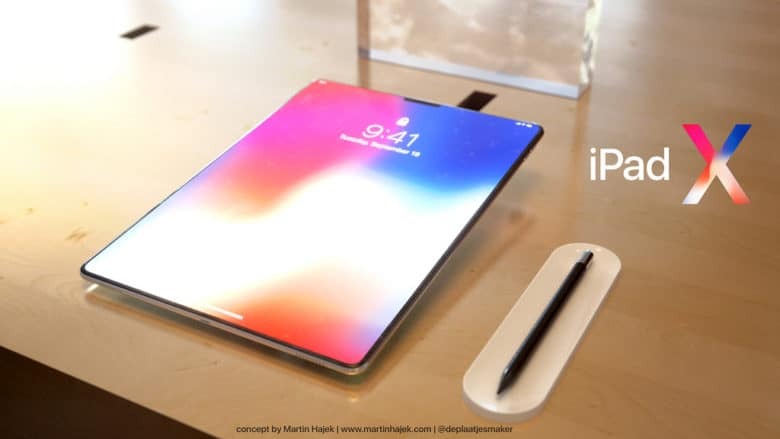 Other new features could include an iPhone X-style edge-to-edge display, upgraded cameras, new Apple Pencil and more.